Our Image design program lets you create with us a visual landscape design that starts with a digital picture of your house or building. 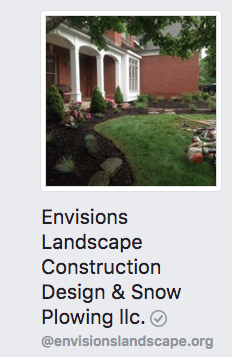 We use more than 8,500 high quality images of plants, grass, mulch, hardscapes, water features and other materials. The result is a dazzling landscape design that will make it easy for you to go with us. You make an appointment with the us, then we arrive to take multiple photographs and input it to our computers. Next we take the laptop to the front porch or kitchen table, and create the design interactively with you the customer. Then we give you on the spot bid. The customer decides to accept the bid, then we collect a check for down payment of the total amount. If the job is small, we will paint the bed-lines before we leave the property. All that’s left is the installation. So, what usually takes hours of back and forth from the client to the office can be completely finished by us during the first meeting. All Plant and Material Images you Desire! Our Design Program includes over 8,500 of the best images in the industry, bringing an unmatched level of photo-realism to your presentations. All of the plants are organized by climate zones so you don’t have to wade through plants that wont work in your area. Our image designing makes it easy to show you what the plan will look like one to 10 years from now. We can even grow the plants in the negative direction to show them what it will look like when they are planted.